This is Delta Automation Tips & Tricks blog. Our intention is to publish small examples and tips that are useful for the programming of Delta Electronics Automation products. Furthermore, we’ll also announce new Delta product launch in the EMEA region, Delta software upgrades and interesting Delta Successful Applications. If you are interested in contribute with your own examples, please don’t hesitate to contact us or add some comments in the blog. I am a beginner in PLC. I need your everybody help to explain how to integrate the communication for Delta HMI (DOPB Series) with Siemens S7-300 using Simatic Step 7. This is not related to TIA Portal V13 or V14. I am having problems with DVP40EC plc. When uploading, the notification program The device address is over the range of the connected model; Error = 2. Hello i have a SX2 delta and i programing in ISPsoft i want to make an equation dividing by Pi. How can i introduce all the PI (π) number? I been trying to learn how to program analog input (4-20 mADC current) on a Delta DVP20SX211R. Can’t get it to work. Where can I find an example that I can follow? I looked through this site and other sites ads can’t find any that help. Perhaps this short tip be useful for somewbody. I was programming a DVP-SA2 PLC with a DOP-B07S411 and I needed that when the emergency button be pressed the HMI automatically goes to an special HMI screen. Well, you’ve to go to the DOPSOFT software, after setup the project go to Options Menu, there to Configuration. From the left colum menu options choose “Control Block”. Define there the “Control Address” (I put a data register D4). Mark “Screen number” option and over the dots (…) put the same Data register. From the PLC modifying the D4 content you can choose the Screen you wanna. Hope this be useful for somebody. I have a HMC07-N411H5C5 but I’m not able to communicate/upload the program from the DopSoft v2.00.06. Anybody knows how to do this stuff? any reference will do. Thanks mate! Awesome collection of tips and tricks here! Hi, Im Cedric from South Africa – Durban. Ive been successful at logging to usb on the HMI with Trigger being Timer with historical trend graph. Can I set the trigger being PLC to enable logging on Change-of-State only instead of logging on Timer continously? Im trying to logg a run status of a Pump through a Delta PLC. Setting the trigger to PLC doesnt seem to work even when changing control word. I can set the ‘Enable’ on the Hist Tend graph to a data point but this just enables the view, it still trends as per sampling style. Hello and happy new year At this point I am trying to communicate a TP70P-RM0 with the TPEditor V1.88 (since with 1.60 the screen does not exist) and I get “Communication is time out” and when it really tries to communicate, the error “Machine Type error! “. Currently the screen does not have the RUN / STOP switch … my question is: Would you miss this RUN / STOP switch to be able to communicate with the HMI? What happened to me? Grace anyway and kindly await your response. Does delta have kinematic transformation function plc or motion controller. e.g for delta robot control. hello, can anybody give me an example of joystick commoand to a delta plc ? i connected a dvp02lc card to dvp28sv .the error signal on dvp02lc card flashing continously.i don’t know why. Hi, I need some help please in selecting the correct Ah500 hardware for a network, I have one Master CPU AH500 with some I/O on one backplane, then a Remote station 50m away with some i/o, then also another remote station over a fiber network 400m away, what i want to find out is i only want one CPU, with ladder controlling all 3 stations in the master CPU. Is this possible over ethernet? or does it have to be via the Devicenet modules? if Devicenet, how do i select the correct hardware/network modules (excluding I/O) for each station including the one 400m away over fiber? Hi everyone! Hope all are doing well. I’ve a DVP-SV2 Delta PLC and I need to program it in SFC mode. The step mode sometimes does not works logically. I’d appreciate if someone have a list of the “tips” things you’ve to do and those you’ve NOT to do. not connecting to PC. No problem with cable or driver or OS. Tried everything. unfortunatly!!!! I `am making new project with this new display-plc. i never work on it before. So i wrote PLC program and display program and start to write to TP. here my problems began. TP not recognizing communication port. after some researches i find usb driver for TP70 series on Delta web. after installation the driver problem was not resolved. At one moment TP connected to PC but disconected again and thats it was. Please if somone or maybe Delta can help with that problem. No problem with PC (tried on several other machines and OS), no problem with USB cable also tried. Hello, I’m trying to install DopSoft 2.00.04 in win 7 professional machine. But it always asks for running as administrator, and I’m not. How could I avoid it? You should disable USC (User Acces Control). Control panel in windows 7 ‘User Accounts in Family Safety’-> Click on ‘User Accounts’ -> ‘Change User Account Control Settings’. It wont ask for administrator permission again. Unfortunatly in Win8,Win10 you cant fully disable this function. I tried online monitor clp model DVP20EX00R in WPLsoft and returned the message “devide the address is over the range of the connected model. Error 2” as I solve this? I can program this CLP DVP20EX00R only with WLPsoft or I can use the ISPsoft too? Where has this clp example to communicate via Modbus? thank you. I’ve been programming a VFD-E internal PLC by ISPSoft sucessfully. I’m using the analog input and I need a lot of arithmetic calculations. Are there any way to build a Function Block to carry out the arithmetic calculus? Is there an offline simulation in delta ispSoft? and if yes how to use it:? I am replacing our DOP-B05S100 with DOP-B05S111. I cant seem to successfully copy the program to the new one. saying ‘different hmi model’. Can you advise how to properly transfer it? May i know the procedure to send commands to Delta PLC through Ethernet and i also want to know the procedure to send commands to my Delta PLC through Tablet. Hi, I m new in Delta software and I like to know how I conect a lika encoder to ss2 and sa2 Delta PLC. I used the C251 Counter but I have many problems. Can you help me? My name is Marcelo Mastrascusa co-owner of Seeac Ingeniería SAS, a Colombian company of automation. 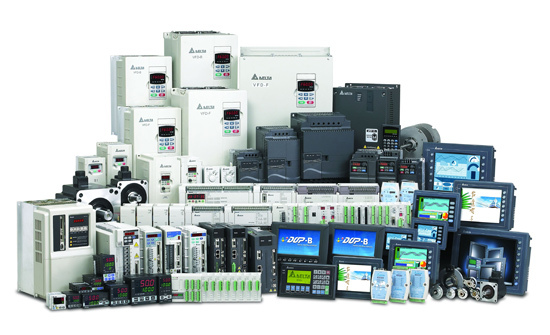 We are interested in become a Delta user of specialized equioments, we know and work with the PLC SX2 and SE model, HMIs and also the VSD and Servos. Actually we have a project and we need to use a AH series PLC with a Scada Fultek for a big company of food processing, we are looking for AH500 Series PLC. Who can quote us those serier of PLC, I have wrote severals e-mail and anybody answer. It happens when anyhow the communication is interrupted during the firmware update (during downloading the new program). Please send it to repair Center. 1) When the datatype is ‘Word’ i’m not able to set a negative initial value, or any value above 32,767. – VFD E;EL;C2000 ;C200 ; HMI- DOP-B03S211 ; -B03E211. 1.I have a problem when working on C200 -PLC Run ,for Mi 1-8 parameters 2.01…2.08 =0 no function ,In WPLSoft I read X0..X7 , Input Mi7,Mi8 -encoder A and B -WPLSoft-M1038 =ON Enable counter. PLC D4= -535 ……DeltaSmartviewer D4= 65000……???? -WiFi connections not working… ?? We need help to communicate a Schneider Premium PLC with a screen DOPB Delta series. We are trying to do it with Ethernet Modbus TCP / IP protocol since we no communication with him Unitelway Modicon RS 485. We are in need urgently as it should tabulate the Control Block and syntax for doing this protocol to talk to TCP / IP. Please show your support and management. I’m afraid this Blog is not world-wide Delta technical support. When we got time and know the answer, we always try to help. But not always. THis is not the objective of his blog. If you really need help, PLEASE! contact with your local distributor. We have distributors everywhere in the world, and they are able to speak in your local language, so is much more effective and simple to ask help to them. could you write some article about PLC interruption. I like to use encoder interrupt. Daniel use the relay option it will work out in your case !! Dear Daniel, use the relay output configured to desired frequency attained for giving the RUN Command to the drive. DELTA MANUALS A2 B2, MOSTLY CATALOG, MANUAL, HAVE TO MANY MISTAKES….I BOUGHT 3 SETS AND CANNOT WIRE AND BE SURE IS CORRECT WITH SO MANY MISTAKES… U NEED LOOK CLOSELY AND READ/CORRECT..!! can anyone help me to connect labview v2011 to sx series plc on modbus ascii. i’m trying to connect two drives so that when frequency in the first one changes the second one’s frequency change too. is it possible to do this? i connected a dvp02lc to dvp28sv .but dvp02lc has error.do you know why.